You know this thing about Ride Games? 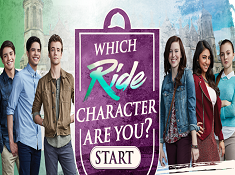 Ride Games is a new interesting category appeared on our site, a category inspired from a new Nickelodeon live action television series that I am sure will become famous all over the world because it has an exciting plot, nice characters and a lot of funny moments. If you like Ride Games category you can give us a like to help us promote this category for all the kids who love the new series from Nickelodeon. In Ride Games you can find 3 games that we've published for these kids and childrens that are interested to play Ride Games, this game gategory have been created on 26.02.2017. These games with Ride Games have been voted 1 times and the avarage of vote is 5.00 stars. We advice you to play the last flash game from Ride Games, Ride Characters Puzzle that have been published on 21.03.2017 08:01. Ride Characters Puzzle its a part of Ride Games category and until now its played 602 times. Try it now on Cute-Games.com! If your like the Ride Characters Puzzle game you can write a comment in the game page. Recommend this game to your friends if you like it! Ride Puzzle its a part of Ride Games category and until now its played 689 times. Try it now on Cute-Games.com! If your like the Ride Puzzle game you can write a comment in the game page. Recommend this game to your friends if you like it! Which Ride Character Are You its a part of Ride Games category and until now its played 608 times. Try it now on Cute-Games.com! Find More About Ride Games! I am going to tell you a few things about our newest category, the Ride Games category, inspired from a Nickelodeon Live action television series that I am sure all the girls and the boys will love. 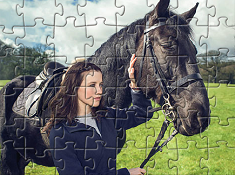 The series is about a girl who is going to start going at a new school for horseman. He is going to learn to ride horses and he wants to become the best equestrian in the world. The girl`s name is Kit and she is very brave but a little bit nervous about this new school. It is always difficult to adapt in a new place, to make new friends but I think it is going too gets over this obstacle because she is a sociable girl. 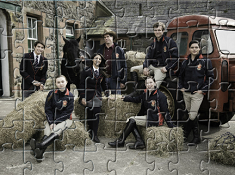 She is going to study at an equestrian school called Covington Academy. She is going to make new friends but her best friend is not a kid, is a horse from the academy, a horse named TK. They are going to become best friends and partners at all kind of competitions. Kit is going to become better and better because she and TK are making a great team and no obstacle is to high for them. They are winning a lot of prizes at competitions and Kit`s parents are proud of her. Kit is now a popular girl at the academy and she has a lot of friends although a few weeks ago she was the new strange girl. Kit is just a nickname for Katherine Bridges who is going to move in England to study at a new school because her father get a job there. You would never believe that Kit`s biggest fear was to ride a horse. When she arrived at the new school she found out that she has to conquer her biggest fear in order to stay at the school. Tk was the wildest horse from the school but somehow he and Kit formed a strong bond and now they are inseparable. I think you will enjoy watching Kit and TK in their adventures at the the academy. Let us know what do you think about this new live action television series and if you love the ride games appeared on our site give us a like and we will bring you more. The Ride games category is going to be updated weekly because we want to offer you all kind of games in order not to get bored. This new category is for both boys and girls because we have a lot of games for all ages, I am sure you can find at least one that you like. Our team is working hard every day to make you happy, because we are happy when the kids who visit our site find the games they like and have a good time. If you have problems on the site you can always ask for our help and we will be happy to tell you what you can do or we will solve the problems. I think we have a quiz game prepared for you with your heroes from Ride in the ride games category. Try the quiz in order to find which character are you. You will use the mouse in the quiz game from the ride games category in order to select the answers. At the quiz game there are no wrong answers. You have to chose the answers that are appropriate for your personality. You will get question about your personality, your hobbies, your friends, your style and so on. Try to answer them honestly if you want a good answer. In the end you will get a picture with the character that is like you and a few info about him. I am sure you will love this game. If you are not satisfied with the final result you can start the quiz from the beginning. I think you will enjoy the ride games category and you will try all the games to find your favorite one. Another game prepared for you is a puzzle game where you have to do your best to get a big score, to enter in the top of the best players in the world. Let us know how fast you have solve the puzzle to compare your time with other players which have tried to solve this puzzle with Kit and TK. In this puzzle game you will get a button in the right side of the screen and you have to press it only when you are ready to start the game. When you press it all the pieces will mix and the timer is going to start. Use the mouse to arrange back the pieces, put drag them in their place to solve the puzzle. In this exciting game you have to work a lot if you want the chance to reach the podium where are only the best of the best players in the whole world. Ride is a new series that i think is going to be great for the kids who will learn to face their fears, to learn how to conquer them, to learn how to adapt in a new group, at a new school, who will learn a lot of things about friendship and loyalty.